Audiologists are healthcare specialists who diagnose and treat auditory (hearing) disorders and vestibular (spatial balance) problems related to the inner ear. People are often referred by family physicians, neurologists, ENT specialists, and speech pathologists to conduct hearing tests and treat a variety often disorders ranging from tinnitus and aging-related dizziness to partial or complete hearing loss. 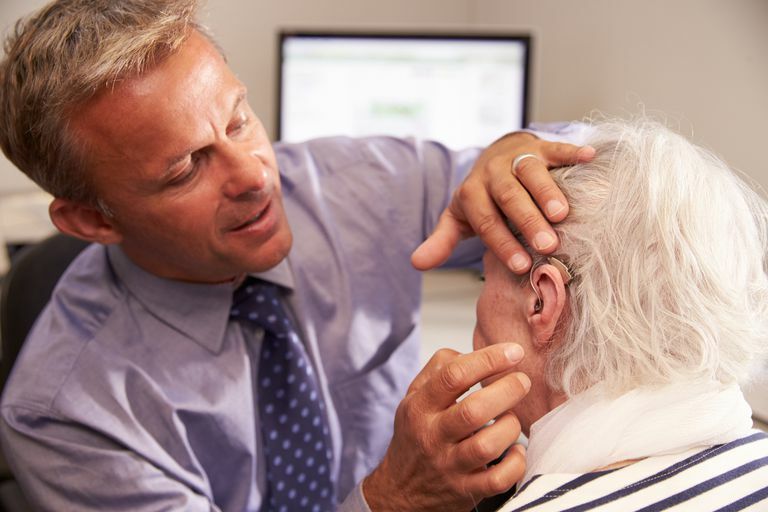 Treatments may include anything from earwax removal to hearing aids and cochlear implants. The educational pathway for an audiologist is lengthy, requiring no less than four years of postgraduate studies to attain a doctoral degree in audiology (AuD). Audiologists should not be confused with audiometrists (non-medical professionals trained to measure hearing loss and fit hearing aids) or otologists (ENT doctors who spend two extra years training in ears and the related systems). An audiologist's practice is focused on identifying, diagnosing, treating, and monitoring disorders of the auditory and vestibular systems. The auditory system involves not only the ears and the inner structures of the ears (known as the outer, middle, and inner ear) but also the neuronic structures that process the digital information en route to the brain. The vestibular system is confined primarily to the spiral cavity known as the cochlea and the labyrinth of the inner ear, both of which contribute to your sense of balance and spatial orientation. An audiologist has the expertise to treat or participate in the treatment of hearing-related problems and disorders involving dizziness, imbalance, or vertigo. Those beyond the scope of the audiologist's practice may be seen by a neurologist (who specializes in nervous system disorder) or ENT surgical specialists. Some audiologists choose to specialize in specific aspects of the practice. In some cases, an audiologist may choose to open a balance clinic devoted solely to vestibular disorders. Others choose to work exclusively in pediatrics or start a group practice devoted to hearing implants (including not only cochlear implants but also bone conduction implants, middle ear implants, and auditory brain stem implants). Specializing in these fields often require additional training. Audiologists interested in conducting research or teaching at the university level should obtain a PhD in addition to an AuD. A PhD is considered the entry-level degree for research. According to the Bureau of Labor Statistics (BLS), 85 percent of audiologists work in healthcare facilities, including private or group practices, audiology clinics, and hospitals. Around 10 percent work in schools or for school districts or government departments. The remainder find employment in health and personal care stores. A doctoral degree in audiology (AuD) is a graduate program that typically takes four years to complete. A bachelor's degree is needed to enter the program. Although you don't necessarily need a science degree to enroll in an AuD program, you would need to contact the school administration to ensure that you have completed the prerequsite coursework at the bachelor level. In the United States, there are no longer any professional programs in audiology that offer a master's degree. Since 2007, the AuD has become the sole designator for the professional discipline of clinical audiology. Graduate coursework includes anatomy, physiology, physics, genetics, communication development, diagnosis, treatment, pharmacology, and ethics. Programs also include supervised, hands-on clinical practice. Graduation from a program accredited by the Council on Academic Accreditation (CAA) is required to get a license in most states. Licensing is required in all states, but the requirements can vary significantly. For specific details, contact your state's licensing board for audiologists. Graduates from an AuD program can be credentialed through the American Board of Audiology (ABD) after passing a standardized exam. Certification may be required by some states or employers. Audiologists can also earn the Certificate of Clinical Competence in Audiology (CCC-A) offered by the American Speech-Language-Hearing Association (ASHA). It helps to be prepared when meeting an audiologist for the first time. Although you may have been referred by another doctor who has already treated you, the audiologist is trained to look for clues that other doctors don't. The more information you are able to provide, the easier it will be to reach a diagnosis. In advance of you appointment, ask your primary health provider to forward all relevant medical files to the audiologist. Upon arrival, you will be asked to fill out a general questionnaire; think ahead and be sure to include all medical conditions you have (or have been treated for) as well as any medications your are currently taking. It often helps to write these things down before you arrive. What does a typical examination involve? What is the current state of my hearing? Can I do anything to prevent further hearing loss? Are there financial aid programs that can assist with costs? Generally speaking, the best way to find an audiologist is through a professional referral. If you can't get one (or are provided a general list from your insurer), you can check their ABA credentials by emailing a request to aba@audiology.org or faxing (703) 485-3555. CCC-A certification can be confirmed on the ASHA credential verification webpage. Audiology can be a rewarding career, especially in an age where technology can help restore hearing that was lost. Although audiologists are generally well-paid, they don't tend to earn as much as many of the medical doctors from whom they receive referrals. According to the BLS, the median annual salary for the 3,100 audiologists practicing in the United States in 2017 was $75,920. The top 10 percent earned a median income of $111,150 per year. With the advances in technology and an aging population, growth in the field is especially robust, with a projected 21 percent growth year-on-year. The demand is greatest in areas where there are a large number of retirees. Bureau of Labor Statistics. (2017) Occupational Outlook Handbook, 2017-18 Edition. Audiologists. Washington, D.C.: U.S. Department of Labor.